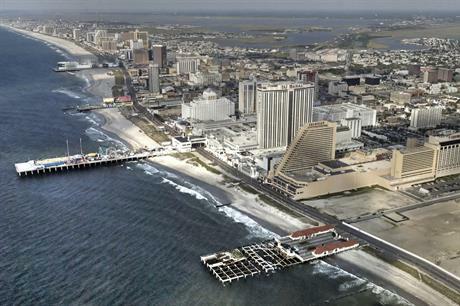 UNITED STATES: The Department of Energy (DOE) has withdrawn its support of Fishermen's Energy 24MW Atlantic City Wind Farm. Update: DOE has confirmed to Windpower Monthly it has withdrawn funding. Fishermen's Energy failed to reach a funding milestone of finalising a power purchase agreement by the end of 2016, in accordance with the 2014 grant from the DOE. As a result, the project will miss out a majority of the $47 million in funding, awarded to them. Approximately $10.6 million of the funding had already been spent in earlier funding rounds. In a statement to Windpower Monthly, a DOE spokesperson: "Under the Energy Department's award, Fishermen's Energy must have secured a power offtake agreement by 31 December to be eligible for another round of funding. The criteria were not met by that date, so we have initiated the close-out process for the project." Fishermen's Energy CEO Chris Wissemann told the Associated Press (AP) news agency of hopes of a late PPA to try and resurrect the deal. "We sincerely appreciate the support of the DOE over the past few years seeking to drive down the cost of offshore wind and bring this job-intensive industry to the US," Wissemenn told AP. "We will continue to seek a customer for our power so that we can eventually build the project, hopefully working with the DOE. We have a short period of time to complete a Hail Mary pass," he added. The project was due to install six Siemens 4MW turbines at a site 4.5 kilometres off the New Jersey coast, on the US eastern seaboard. Fishermen's Energy had been involved in a long-running dispute with state officials over the feasibility of the project. In October 2015, the firm announced it would use Siemens' turbines, instead of the originially planned XEMC 5MW turbines meaning it would use "proven" technology and could obtain "traditional sources of project financing". In May 2016, the DOE extended the PPA deadline to the end of the year but cancelled funding for two other projects. Analysis: Is DOE offshore funding too little too late?